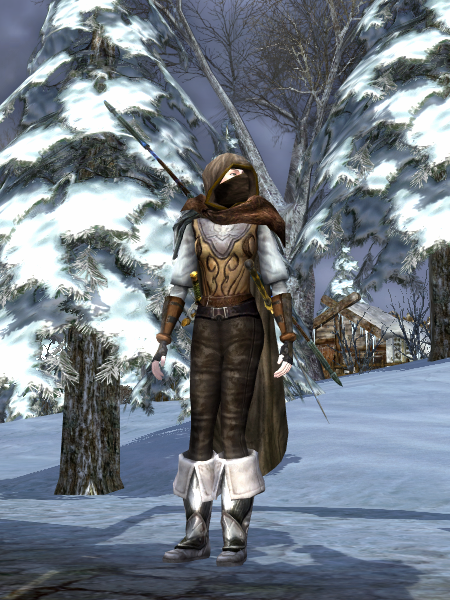 My hunter has been in the cold wastelands of Wildermore and found her woodland greens inappropriate (and not warm enough!). 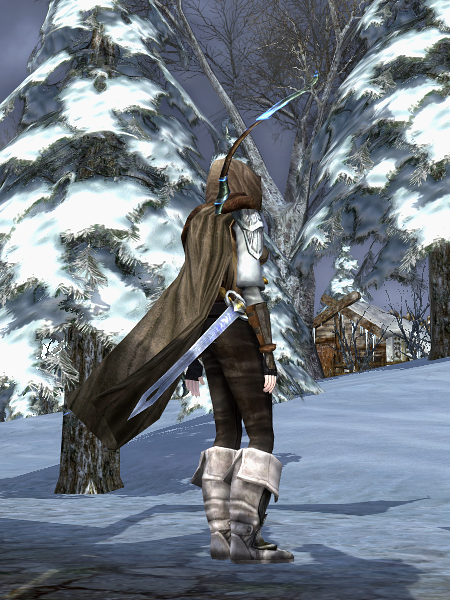 Here’s her get-up for the cold, now barren lands on Rohan’s outskirts. 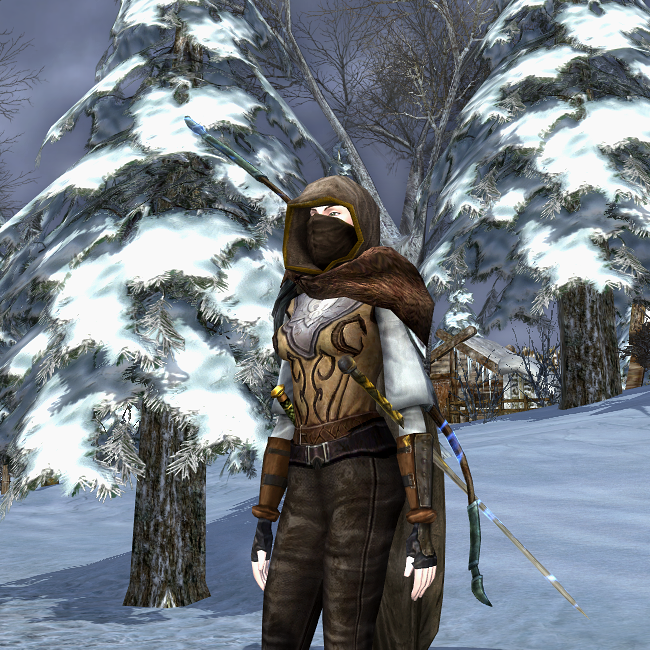 Clearly, I still love Dunland’s cosmetics. 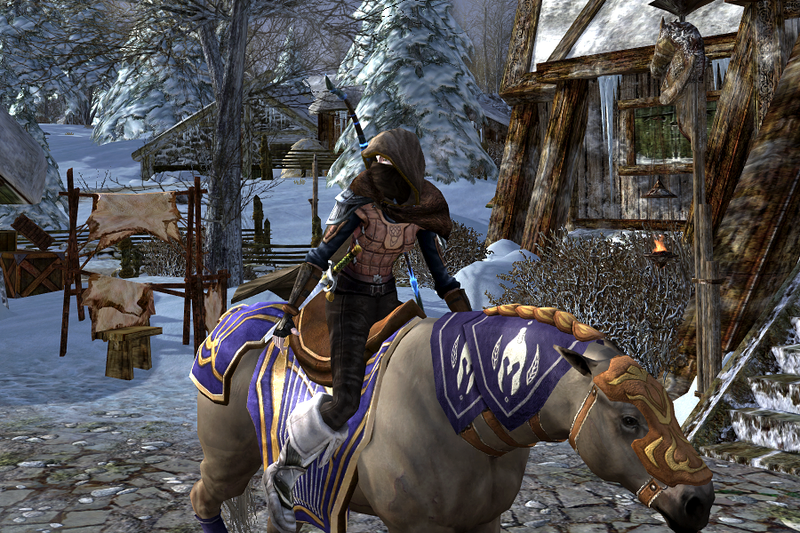 …also, in case you were wondering, the pun in the title is totally intentional. 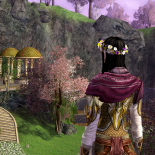 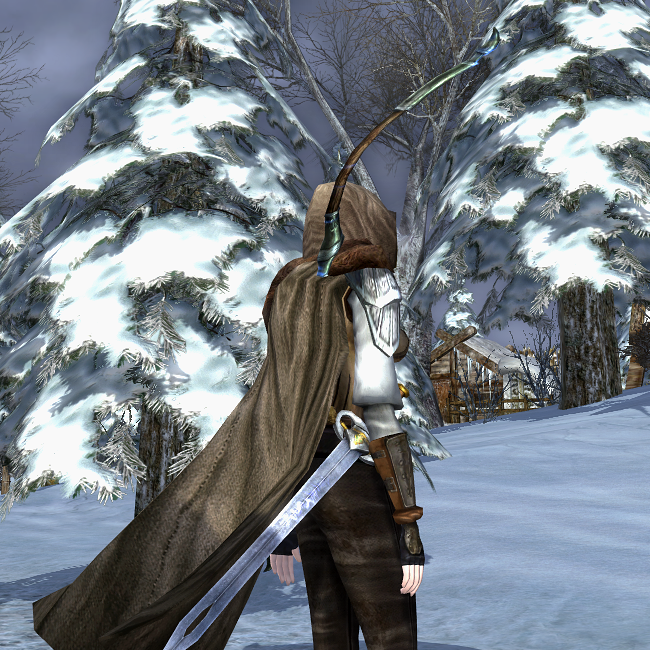 This entry was posted on 2014.10.07 by vyh in Outfits and tagged arestelle, brown, cosmetics, gray, grey, hunter, lord of the rings online, lotro, outfits, rohan, white, wildermore.